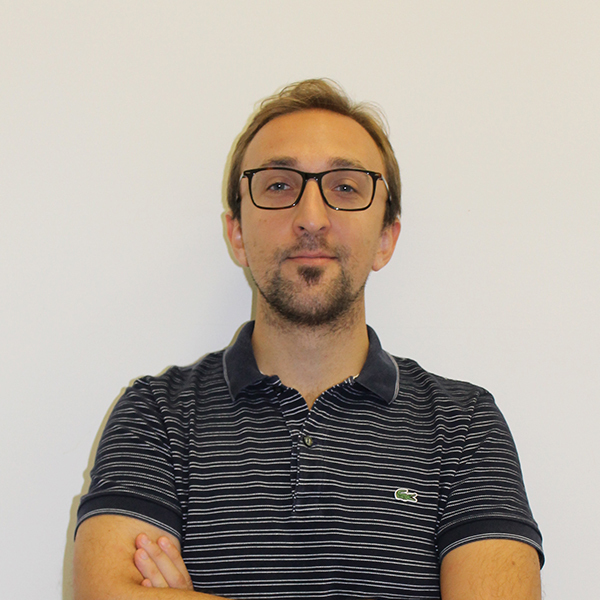 Davide Stefano Sardina started his research activity during PhD course at the University of Catania providing a methodology to predict the role of microRNAs in the competing endogenous RNA crosstalk (ceRNA) effect. In 2016 he spent a visiting period at the Institute of Oncology Research (IOR), Bellinzona, Switzerland under the supervision of Francesco Bertoni MD and working on NGS analysis of ncRNAs for lymphoma classification using STAR aligner and Cufflinks. In 2017 he was associate member at the Institute of molecular bioimaging and physiology (IBFM) – Italian National Research Council (CNR), Cefalù, Italy and working on a project for the development of a methodology for the semi-quantitative analysis of the amyloid deposit of patients underwent amyloid PET with Florbetaben and correlation with clinical data, neuropsychological assessment and cerebrospinal fluid. He won the IEEE/CS TCCLS Lipari School Best Poster Award for the work: “INBIA: a boosting methodology for proteomic network inference”. Then he moved to Cellular and Molecular Oncology Laboratory, Palermo, Italy where he currently holds a position as Bioinformatician. He is actively involved in the Alleanza Contro il Cancro (ACC) project and working on single nucleotide variant calling analysis from NGS experiments. Pierpaolo Alongi, Davide Stefano Sardina, Rosalia Coppola, Salvatore Scalisi, Valentina Puglisi, Annachiara Arnone, Giorgio Di Raimondo, Elisabetta Munerati, Valerio Alaimo, Federico Midiri, Giorgio Russo, Alessandro Stefano, Rosalba Giugno, Tommaso Piccoli, Massimo Midiri, Luigi M.E. Grimaldi.